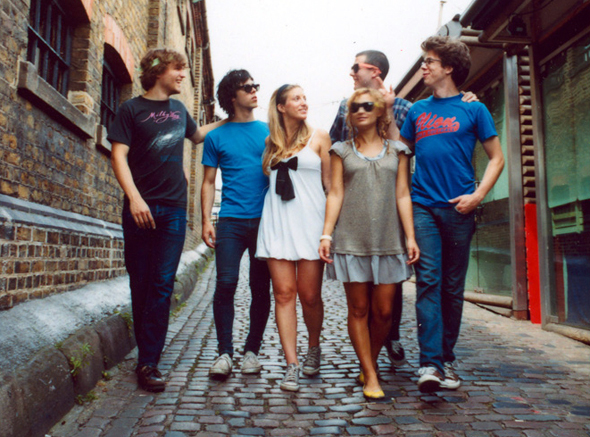 Ra Ra Riot | The Art Dept. 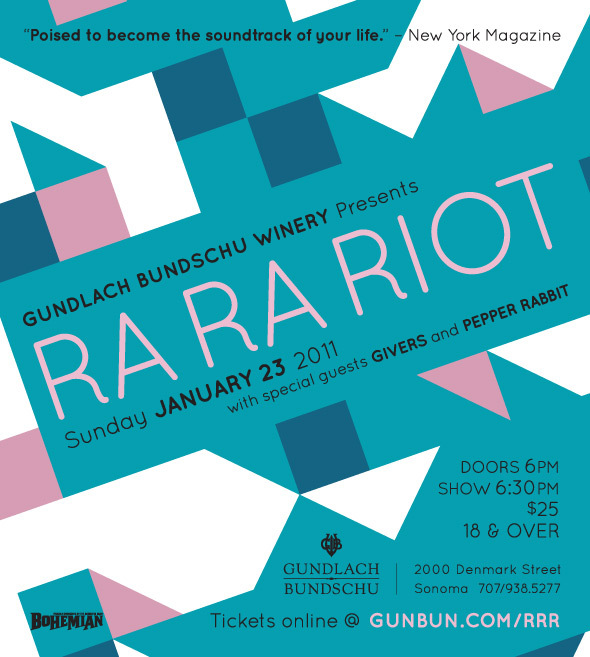 There are ruckuses, ragers and rampages, but none of them come close to the riot happening this January 23, when Ra Ra Riot take the stage at Gundlach Bundschu Winery along with special guests Givers and Pepper Rabbit. 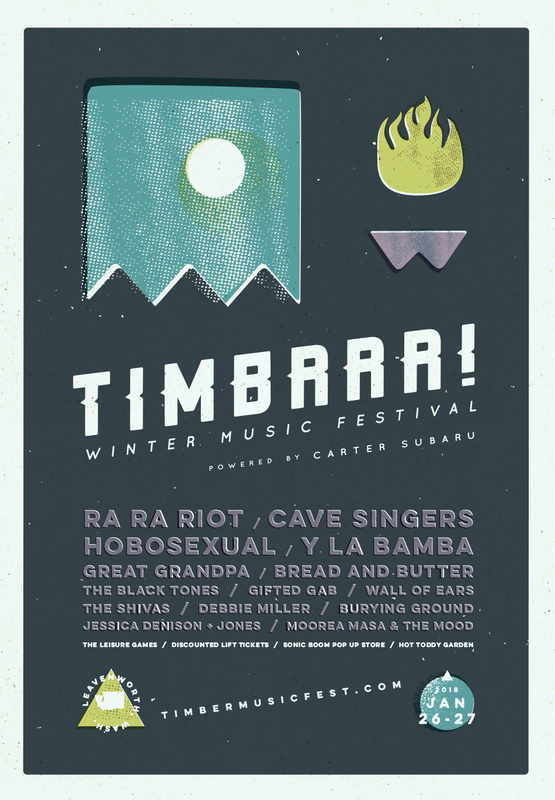 Ra Ra Riot—a Syracuse-based sextet whose ebullient, string-infused brand of indie rock has enchanted industry arbiters including CMJ, Rolling stone and Pitchfork—promises an intense and unforgettable set, all framed within the extraordinary backdrop of Gundlach Bundschu’s historic redwood barn. We were excited to help Gundlach Bundschu with their promotional campaign for the event including press releases and print ads (see the ad above, designed by our Design Director Mary!) and we’re even more excited to go to the actual show. If you’re in the area, be sure to purchase tickets today (as these Gun Bun concerts are known to sell out!) Word to the wise: it’s a rustic, unheated locale, so dress appropriately and wear layers. 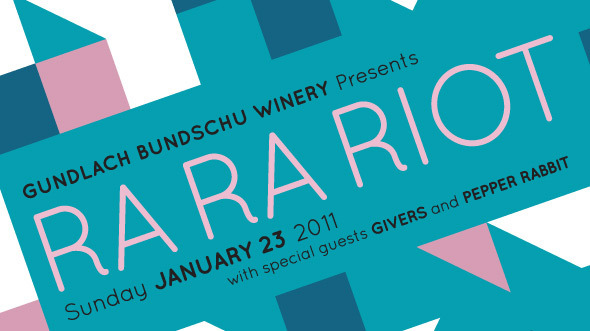 You can also warm up with Gun Bun’s award-winning wines . . . !